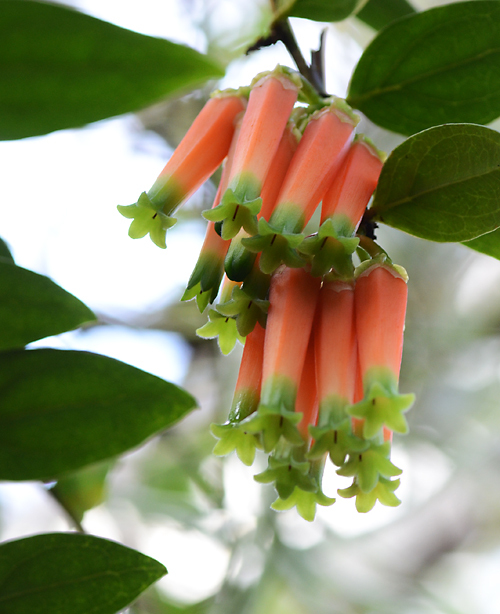 More fruit-colored tubular flowers from the Tropical High Elevation House. All of our tropical blueberries produce flowers that look good enough to eat, Cavendishia macrantha included. I love the two-tone melon/honeydew colored flowers. They are followed by berries that are rich in anti-oxidants. 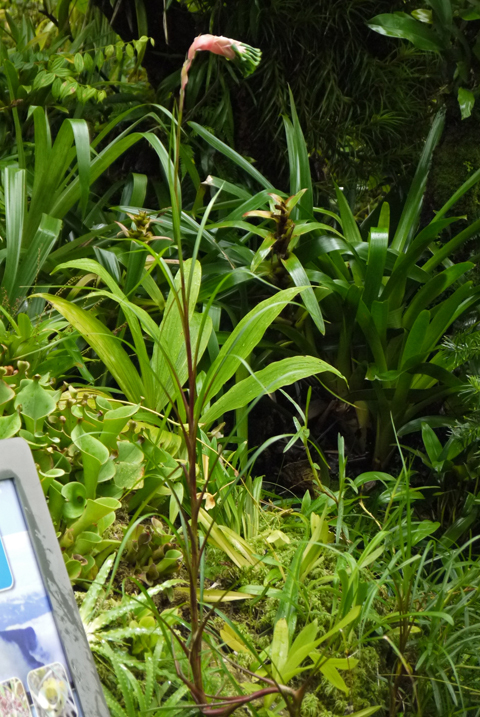 And a completely unrelated plant, a bromeliad, possibly a Guzmania, with tubular olive flowers. 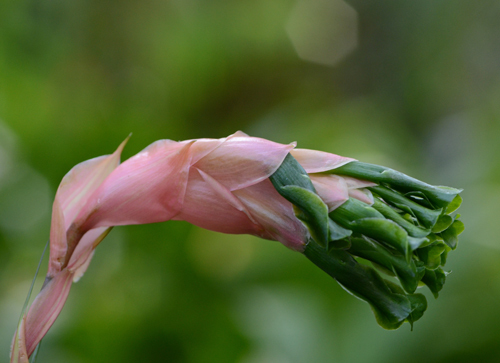 The flowers arise from translucent pink bracts. 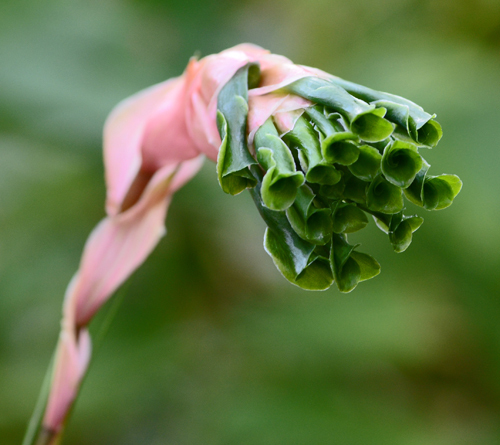 Here's a look at the entire plant, with its narrow linear leaves, glossy red stem and long internodes. Quite striking.